Logan owed an apology to Callum so part of that included a big hug that Callum decided he had to get away from. 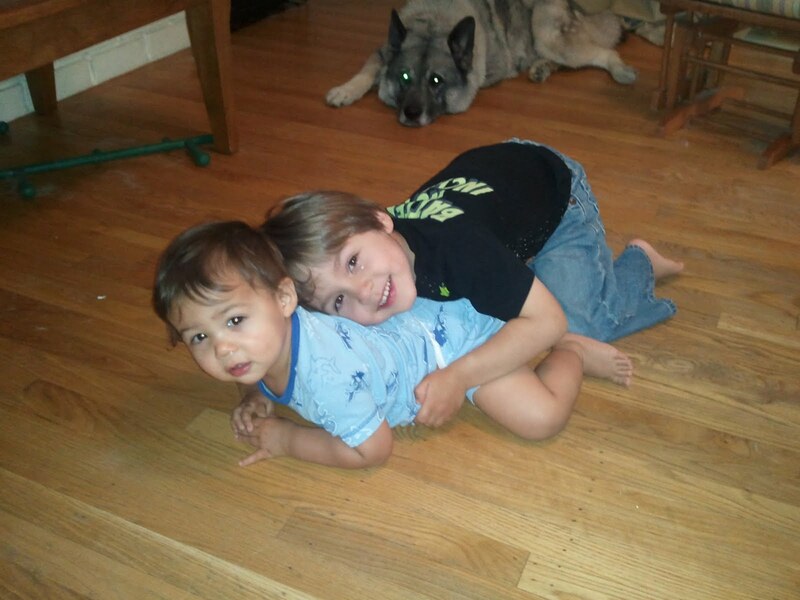 Meanwhile, Logan insisted I take a picture of them hugging (which turned into tackling, as you can see). What I like most from this shot is how much they're starting to look more and more like each other.